In the first of four podcasts looking into the storied history of the (Castle) Wolfenstein saga, we start with the late Silas Warner’s 1981 stealth/action hybrid for 8-bit computers. 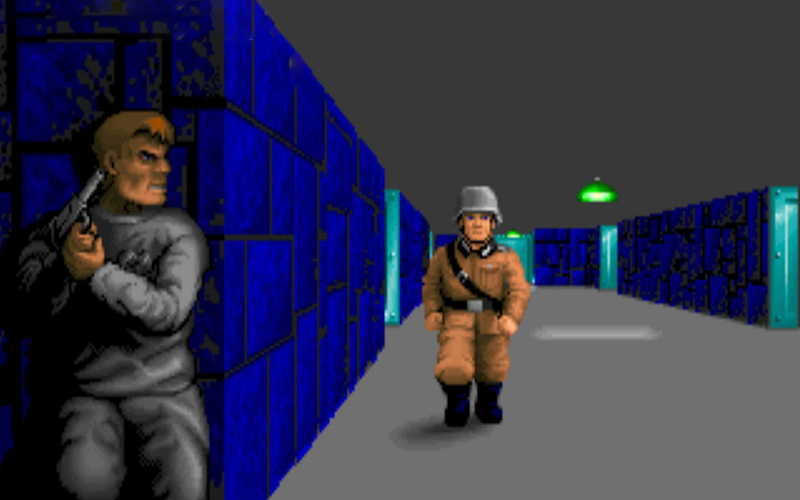 After gasping in awe and wonder at the ambition of its 1984 sequel, Beyond Castle Wolfenstein, Leon, Tony and guest Andi “Johnny Wolfenstein” Hamilton (of Midnight Resistance) then move onto the at least equally influential proto-Doom, Wolfenstein 3D (1992) as well as its same-year successor, Spear of Destiny. James looks back to before he was born at Muse Software’s Castle Wolfenstein (1981) and its sequel Beyond Castle Wolfenstein (1984). They may be a clunky and tough to pick up these days, but there’s a lot more to them than meets the eye. Both games were played on Apple IIe emulation software. In this Quick Rinse our Darren has a whirl of the secret Pac-Man level (and a little beyond) on the free browser version of Wolfenstein 3D.